Here are some nice videos - video1, video2 - and a photo gallery from this event. Începe școala. Cumpărați calculatoare noi? Multdiscutata criză financiară a făcut ca firmele private româneşti să-şi reevalueze dramatic planurile de înnoire periodică a parcului de calculatoare. Uneori fără a avea suficientă informaţie tehnică corectă, managerii încearcă să facă faţă menţinerii afacerii utilizând la maximum un hardware învechit. Sistemul de operare Linux le poate oferi un ajutor crucial în acest efort. At the end of August, I was pleased to participate at "Informatica la Castel" ("Informatics at the Castle") Free Software Summer School, 2011 edition. This annual event - already a tradition among Romanian computer geeks - is kindly hosted by Universitatea de Vest "Vasile Goldiș" ("Vasile Goldiș" West University) and ARLUG, the Arad Linux User Group. It's like a pleasant summer camp, at the 1724 Cernovici Castle (position), in the beautiful landscape of Macea village - about 20 km away from the city of Arad, Romania and near the Hungarian border. Each year, the event's goals are not only purely tech talks, but also raising awareness of Free Software ("Software Liber") benefits for the large, non-technical Romanian public. We also debated on the practical aspects - including financial implications - of Free Software implementations in Romanian Public administration - a zone where there is still a lot of work to do. The 2011 edition was also focused on e-learning: the e-learning (free) software Moodle and its practical applications in Romanian-speaking education network. The subject stirred up much interest and participation, not only from Romania (schools, high-schools, universities), but also from Moldavian universities of Chișinău, Bălți and Tiraspol. This year, the summer school enjoyed the direct help and participation of the Moodle Romania team, which has a strong presence in Arad county. Demonstrating GNU/Linux installation and basic operations to present Microsoft Windows users was another task for the school - each year, Linux installfests are permanent agenda. The organisers seek participation from the largest possible number of wannabe GNU/Linux users and newbies (students, pupils, public clerks, teachers of all grades). Not only a small "computer laboratory" was available (running a wide selection of GNU/Linux distros, such as Fedora, Debian, CentOS, Xubuntu, Trisquel, Ubuntu, and Fedora LXDE), but we have demonstrated the install of GNU/Linux for both desktops and servers (Ubuntu 11.04, CentOS 6.0 and a Moodle server on Ubuntu). Last but not least, the Free Software Summer School brings a lot of fun for participants - some of which are "veterans". It's an invaluable occasion to make friends, share ideas and have long, passionate face-to-face discussions on technical, social and "political" matters. As for relaxation and "peace of mind" after tech talks, this year we had a short trip to Bezdin and Hodoș-Bodrog nearby monasteries - wonderful pieces of Christian faith engraved in stone - some foot walks along Mureș river and, of course, a camp fire, evening dance, fine dishes and local wine. In no particular order, here are some pictures - that worth more than a thousand words (not only mine, but courtesy of Prof. Mihai Jalobeanu, Prof. Pavel Moș, Prof. Daniel Popa, Mr. Liviu Berecz and Mr. Bogdan Lăzărescu). 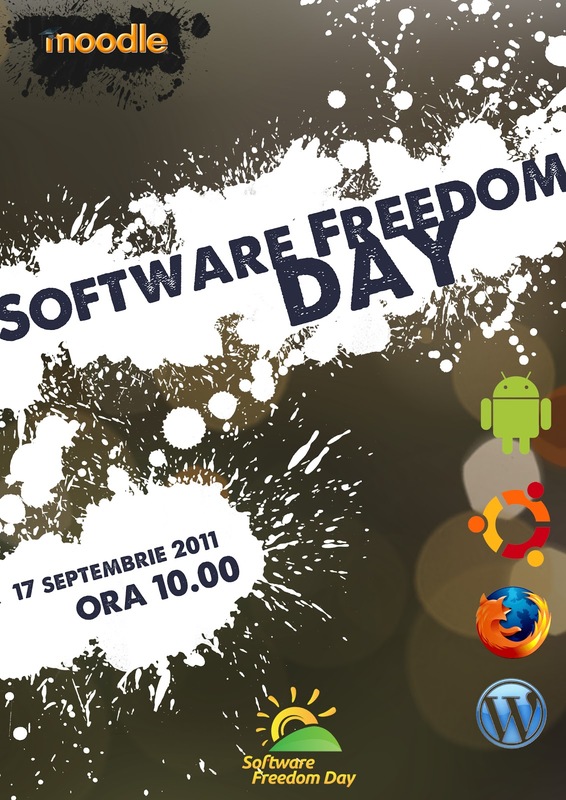 Free Software comes to Romania! "Liberate your documents! Use OpenDocument format!"